He was an American scientist and inventor whose main claim to fame was a research which he carried out on the promotion of alternative crops to cotton including sweet potatoes soybeans. His objective was to serve poor farm-based families as sources of food and other products so as to improve their quality of life. 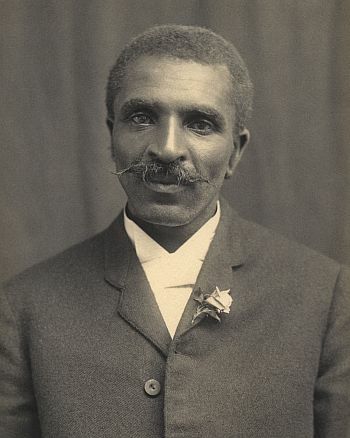 Unlike Benjamin Banneker, who was born free, George Washington Carver was born into slavery. His exact birth date unknown; it is estimated to be around 1864 to 65. This was in Diamond Grove, Newton County, presently known as Diamond Missouri. His parents were bought and served under a master named Moses Carver. After slavery was abolished in the United States, Moses and his wife Susan Carver raised the young boy and his older brother James as their own. They had already noted his intellectual side and encouraged his to continue with his pursuits, with Susan teaching him the basics of reading and writing, something that was a privilege for a black man, let alone boy. Though slavery had been abolished, racism was still thick in society and blacks were not allowed into public schools. The nearest learning institution for blacks was 16 km (10 miles) in a town called Neosho. George decided to attend school and met a woman who rented him a room. During their interaction, “Carver’s George,” what he used to introduce himself all his life was changed to George Carver. One of her statements to George, “You must learn all you can, then go back out into the world and give your learning back to the people”, had a great impact to him all his life thereafter. Mr. George W. Carver’s college life was quite active with a hint of racism, struggles, hard work and of course successes. He was accepted into Highland College in Kansas, but was later rejected for being black. He was however admitted to Simpson College in Iowa in the year 1890 where he took up art classes as well as piano. George was later to become the first black student to study botany in 1891, and was later the first black faculty member to teach at the school. His academic character and passion in the local flora and fauna developed a reputation where he was known as the “Plant Doctor”. After completing his bachelor’s degree, Carver carried out a research at the Iowa Experiment Station under the guidance of Professor Louis Pammel. This research and overall experiment at the institute in plant pathology and mycology gained him nationwide recognition as a botanist. George was later asked by the famous Booker T Washington to join the Tuskegee Institute in Alabama, and did so in the year 1896. He was to stay there for the next half a century, where he acted as a teacher and also worked on his own research projects. Having had a strong academic establishment at this point, his time at Tuskegee was the most significant in his life, considering that most of his inventions happened within this period. Coincidentally, the country’s economy depended majorly on agriculture during this period, and this fact made Mr. Carver’s achievements and inventions quite significant to the people. His discovery of the crop rotation method of farming was considered as one of his greatest at that time. Decades of tobacco and cotton growing had depleted the soil in many areas down south in the United States. Also years of continued civil war and the end of slavery were significant changes to the region. Carver’s advice to the farmers to practice food crop farming helped the farmers and whole region in general to recover. He also worked towards inventing industrial applications from local crops. He found a substitute to a number of textile dyes previously imported from Europe. He also produced 500 different shades of dyes in the year 1927, a move that saw him receiving three individual patents. Carver was on the frontline in the creation of new markets for farmers with the discovery of up to three hundred uses of peanuts, sweet potatoes, pecans and soybeans. His list of discoveries surpass even Benjamin Franklin’s inventions. George W. Carver successfully invented 500 different shades of dyes using agricultural crops. Till then, dyes were hugely imported from Europe and this came as leverage for the industry and country in general. His inventions and achievements in agriculture and the various use of food products was also notable and has been very helpful to mankind. However, he rarely profited from his achievements and often gave them for free to humanity. His greatest achievement was transforming the Southern region from a single crop farming region to a multi-crop farming region. George Washington Carver was awarded the Spingarn Medal given annually by the National Association for the Advancement of Black People in 1923. He also received an honorary doctorate in the year 1928 from Simpson Collage and was an honorary member of the London Royal Society of Arts in England, UK. Restoration of agriculture in the south didn’t go unnoticed and he received the Roosevelt Medal for this great achievement. President Franklin D. Roosevelt chose to honor Mr. Carver with a monument in the year 1943, dedicating it to his great achievements. The area around Diamond Grove, Newton County was preserved as a park in his honor. We are all awarded for our accomplishment and good deeds. 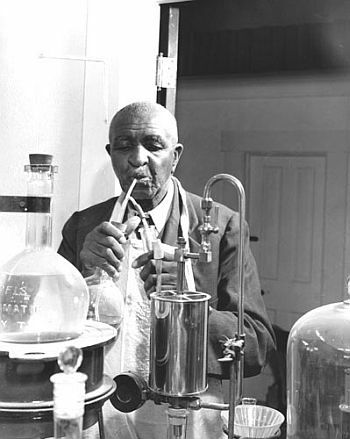 For George Carver, it wasn’t in wealth or fame, but in a legacy left behind for a better world to live in.